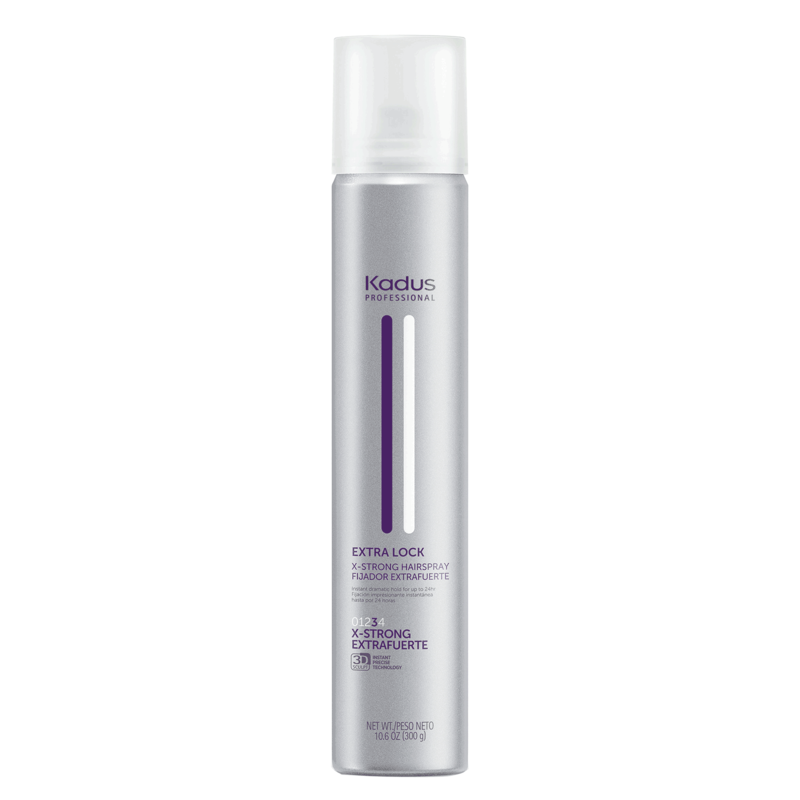 Kadus Extra Lock Hairspray - X-Strong for instant dramatic hold for up to 24 hours. Shake well. Hold at arm's length and spray onto finished style. ALCOHOL DENAT., HYDROFLUOROCARBON 152A, WATER, DIMETHYL ETHER, OCTYLACRYLAMIDE/ACRYLATES/BUTYLAMINOETHYL METHACRYLATE COPOLYMER, AMINOMETHYL PROPANOL, PEG-12 DIMETHICONE, FRAGRANCE, PANTHENOL, ETHYLHEXYL METHOXYCINNAMATE.